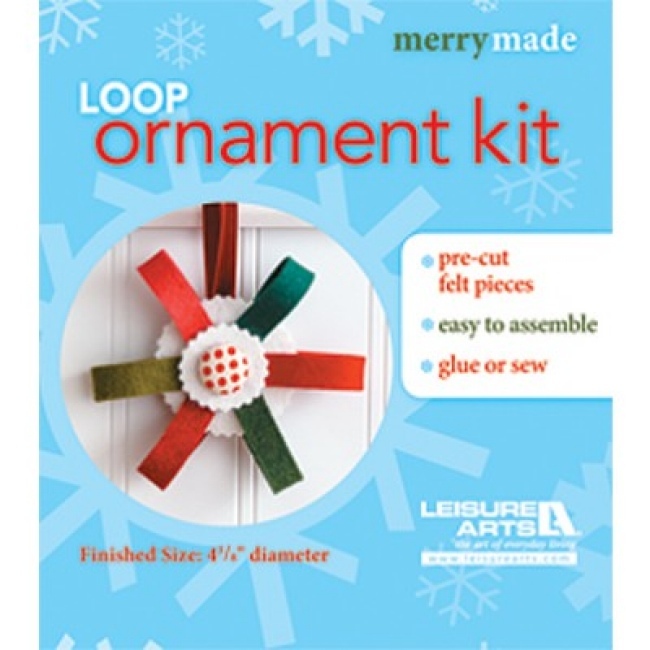 The Loop Ornament Kit is a MerryMade Felt Christmas Craft Kit from Leisure Arts. Quick & easy to assemble! Kit includes pre-cut felt pieces, fabric covered button, ribbon, embroidery needle, embroidery floss, and instructions. Finished size is 4-3/8" diameter. This is a fun felt Christmas ornament kit for beginners and experienced crafters!